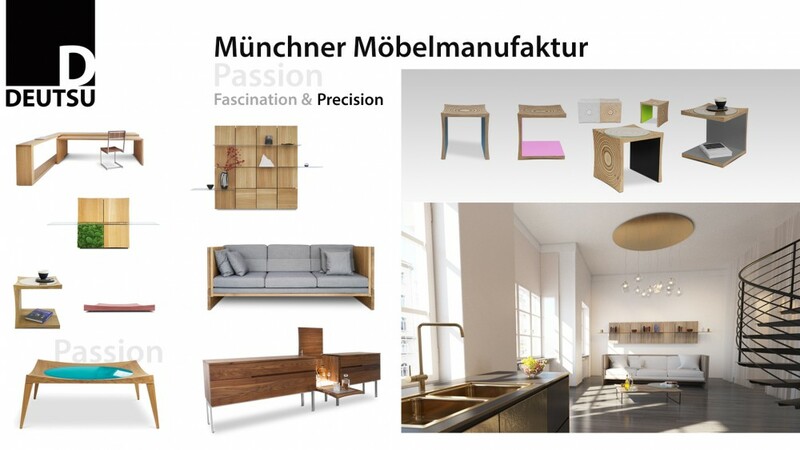 We are furniture workshop based in Munich. All our work is designed and manufactured locally in Munich area. We wish you have fun exploring our online store and fascinating about our products like we do! For questions please contact us directly at +49 (0)8972448888. We are really there for our customers and look forward to new interesting contacts. The coffee table Fallingwater, inspired by the architecture works of Frank Lloyd Wrights, celebrates the composition of wood, steel and glass. Stool with a shell-shaped seating in solid wood. The TERA-U can be used as a side table in vertical and horizontal positions. The TERA sideboard bar-modul is a 43 cm wide module in the design as a bar-cabinet with back-lit glass ceramic panel in a solid wooden body.